The climate is not static; over the millions of years of earth's existence, it has changed many times in response to natural causes. When people talk about 'climate change' today, they mean the changes in temperature over the last 100 years. During this time, the average temperature of the atmosphere near the earth's surface has risen by 0.74 degrees Celsius. Most scientists agree that global temperatures will rise further - by how much depends on future emissions of greenhouse gases. If the temperature rise is high, changes are likely to be so extreme that it will be difficult to cope with them. There are likely to be more intense and frequent extreme weather events, like floods and hurricanes, and sea levels could rise further. 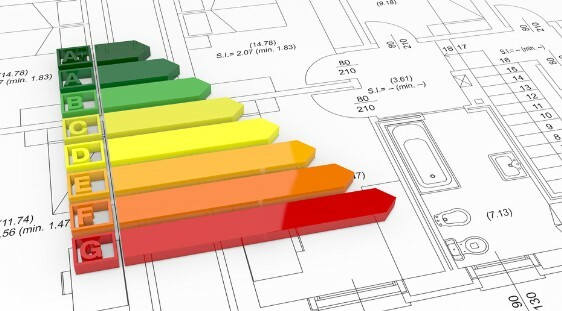 Properties are rated on a scale of A-G where an A rating is the most energy efficient. The UK signed both the UNFCCC and the Kyoto Protocol, and is on track to exceed its Kyoto target for reducing greenhouse gas emissions. In 2006, the Stern report was published in the UK by HM Treasury. It was the first report of its kind into the economic impact of climate change. It found that the costs of inaction far outweighed the costs of action. In November 2008, the UK government passed the Climate Change Act. The Act sets legally binding targets for reducing emissions by 80 per cent on 1990 levels by 2050. In 2007, the IPCC announced that the planet has warmed 0.74 degrees Celsius since the beginning of the 20th century. It said there is a greater than 90 per cent chance that global warming over the last 50 years is due to human activity. At the 2007 UN climate change conference in Bali, the world's nations agreed to negotiate on a deal to tackle climate change. This agreement would replace the Kyoto Protocol and the details are expected to be agreed at Copenhagen in 2009. Tackling climate change is and will continue to be one of the biggest challenges this generation faces, and the first step is to understand exactly what it is. Find out how climate change was first detected, the history of efforts to tackle it and the latest developments. Some changes to the climate are inevitable, but there is still time to have a positive influence on the future. You can help minimise further changes and adapt to the new situation through your decisions and actions. Read about simple things you can do to make a difference in 'Greener living: the quick guide below issued by the Government will help you see what you can do'.